So… King’s X? Where do I start. They’ve been a band for 26 or 27 years. I’ve been a fan of theirs since 1994. I see them every time they come through my town (16th time in 15 years). I’ve seen them in 6 or 7 states (mostly Ohio), but this is first time to see them in Oregon for me. It was only last August that I saw them open up for Extreme in Cincinnati, and they haven’t put out anything new since that show. Honestly, though, it really doesn’t matter. It’s King’s X… Doug, Ty & Jerry. They are a must see show, any time, any place!! I showed up late for the show; so I can’t speak to the rockin’ (or not rockin’) of the openers Orange Sky & Quandry. If history tells me anything, the openers were good but not phenomenal*. I had other work-related plans, and I couldn’t make it to the venue in time. *– A good/great opener in days of yore is a band like Podunk. Also, re: “openers,” I wouldn’t put Galactic Cowboys in that category. They’re more like “peers”… and were always a great lead in to King’s X. For the most part, other openers for KX were OK, but usually just delayed KX starting time by more than I normally cared for… I mean that in no disrespect to the openers tonight. Had it not been a rough day of work, I’d have done my best to make it for your sets. Seriously. I showed up right at 11pm, and King’s X were deep into their third song (per the door guy). So, for those keeping track at home, file that under “whoops… messed that one up.” My guess is that they started with “Groove Machine.” Regardless of my missing the intro, King’s X put on a great show, and I thoroughly enjoyed it… a little bit of feedback and a low ceiling’ed venue, but I got to move around a bit and snap some shots from several angles. No videos… I imagine it’d be too much feedback for the camera. Wishes for the evening… maybe switch out “GTS” and “P4M” with “Cigarettes” and “A Box.” But all in all, I’m glad that they’re still making music and still touring. I figure, beggars can’t be choosers. I saw a great show by some great musicians… yet again. 8/15/2009 Southbridge, MA @ ADC Performance Ctr. Song 1 was Groove Machine. Killer show. I think you stepped in front of me at the stage to shoot some pics. Look forward to seeing them. Yeah, quite possibly. There were a few photographers there… I wish I was able to get closer (and had a camera with a customizable f-stop), alas, I think some of them may turn out OK. Thanks for the Groove Machine confirmation. I think that’s been the standard set opener since Tape Head came out. I can’t believe that they are not coming anywhere close the Cincinnati. Damn them. What kind of guitar is Ty playing? Looks like some kind of mod’ed Tele. They are coming to Memphis on 6/30, and I’m hoping to be there! Thanks. Cant wait for the Memphis show!! I’ll be at the Memphis show tonight, as well as the Little Rock one tomorrow. 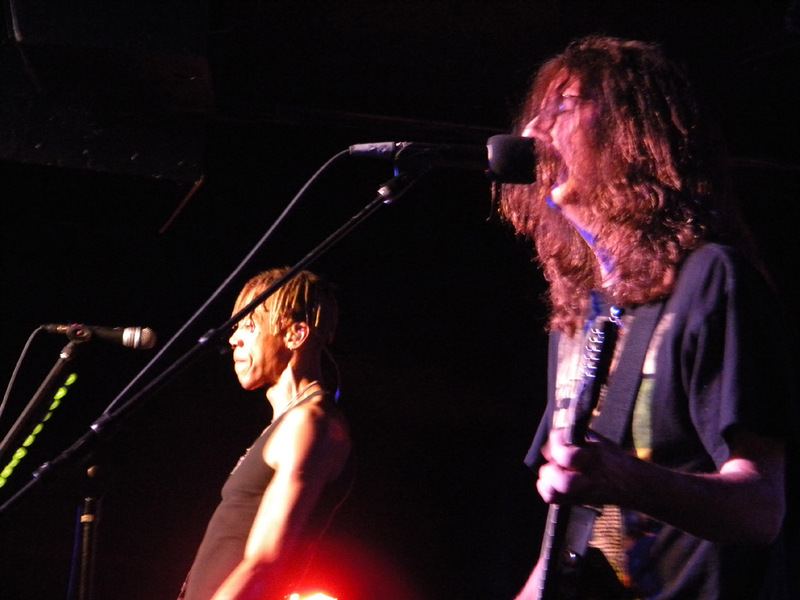 History would have proven you WRONG @ Berbati’s Pan.The direct support to King’s X was nothing short of phenomenal.They are a perfect touring match for the legends and this new band will take the world by storm.History would have you go down as the reviewer who missed the perfect show. Wanna see what you missed? 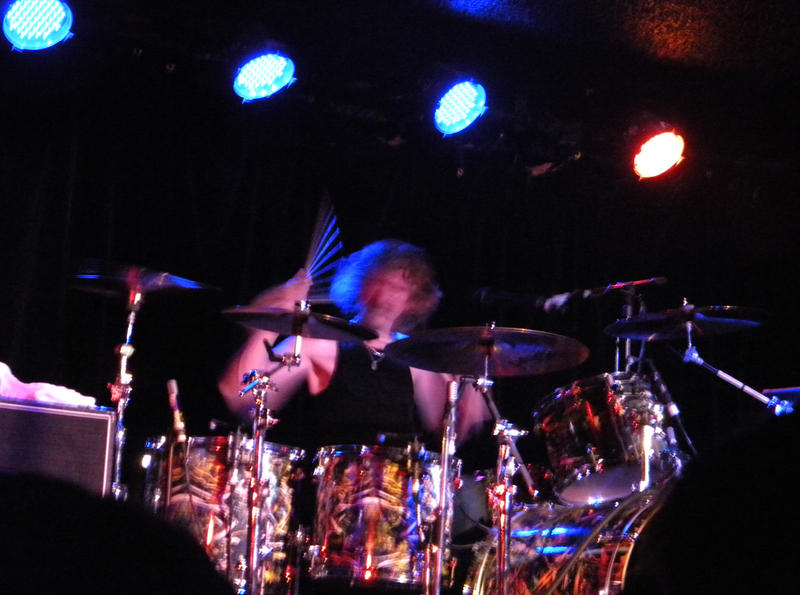 I found some clips of them on you tube playing at various places but you really had to be there that night.They were on fire……..I won’t be surprised if the become one of the most important bands in rock in the coming decade. I was there, too, and they were great. This really was the perfect concert with three great bands getting better and better leading up to the crown jewel in King’s X. Personally, I like “Pray,” although it didn’t work as well live. I liked his “will the real God please stand up?” comment, though. I understand what they were trying to say with ‘Pray,” but I wish the chorus was different. It just makes me cringe. Otherwise, I uber-LOVE the band and anything they do (solo, side-projects or as KX)! Im a big supporter and I can’t help feeling the way I do.A lot of great bands suffer from the lack of general interest from the press.It’s true that there is a tedious amount of less than worthy bands that get gigs opening for established artists and understandable that most would love to skip them and reach in time for the Headliner.I think it’s the responsibility of a reviewer to review the entire show no matter what.As music fans, we want to know what’s out there espicially if our favourite band has guest bands playing along with them.maybe they’re there for a reason and not because they’re the toast of their State or whatever.A band like King’s X usually has quality artists playing with them and Orange Sky & Quandry were no exception.I’ve been to five shows on the tour and the opening bands were very worthy.I’m not telling you how to do your job because you do a great one ………..it’s just cool to have a bit more heart for the up and comers. I hear ya… I simply couldn’t make it there in time. I’ll do better to hit Orange Sky next time they come around. BTW, I saw an icon with Dredg up above………nother phenomenal band that’s worthy of attention.Please check this clip out as well. Yeah, I LOVE dredg. Their latest album is my fave so far this year. Seeing them for the 2nd time (this year) in August.